Hop on a ferry and explore the unspoiled beauty of Kythnos, the closest to Athens Western Cycladic island. Under the guidance of local experts, walk through picturesque villages, taste unique local delicacies and hike through historical unparalleled trails. 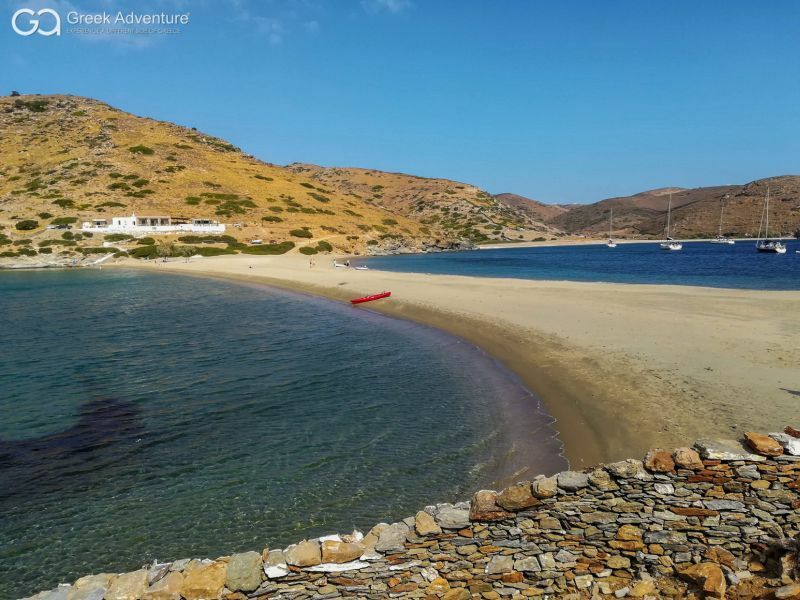 Kythnos has a coastline of about 104 km and has 92 coves and beaches. The mountains of the island are not large, the highest peak is "Prophet Elias" on Mount Petra at an altitude of 336 m, while at the same height are the tops of Agioi Theodoroi. Some of the great local products are honey, figs, wine and almonds. The climate of the island is considered very healthy and ideal for outdoor activities. Between the bay of Episkopi and Apokrousi lies the most significant place in the history of the island. According to historical sources, Vryokastro or Rigokastro was the ancient capital of the island. 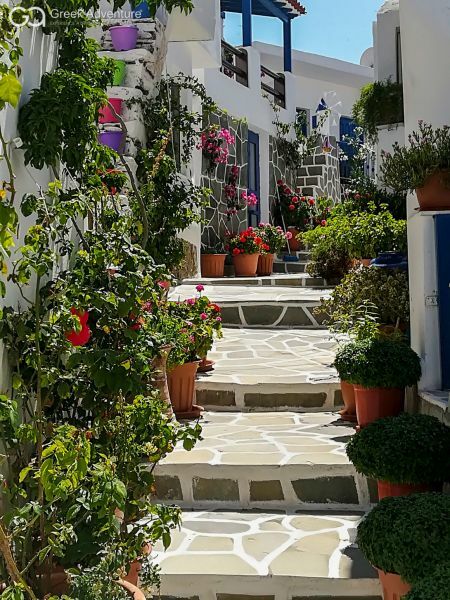 Nowadays, guests will get fascinated by the beauty of the area and especially the mountain of Vryokastro, its diverse flora (great variety of herbs) and uninterrupted view to Aegean sea and picturesque Kolona beach. Greek Adventure offers two escape packages in Kythnos with hiking in the beauties of the island: a one-day hiking on the ancient paths and the five-day full vacation package. And as always, we can organize all the tourist services you may need, from transportation to accommodation. All you have to do is send us a message and you will have taken the first step for a wonderful holiday on this stunning Cycladic island! By clicking here, you can also check out all our tour suggestions for the Cyclades islands of Greece.